Cover: Illustrations to Thornton’s Virgil, executed as a relief etching. Essick collection. ALEXANDER S. GOURLAY is an Assistant Professor of English at the Rhode Island School of Design. DAVID GROVES’ latest book is an edition of James Hogg’s 1824 novel, The Private Memoirs and Confessions of a Justified Sinner (Edinburgh: Canongate, 1991). 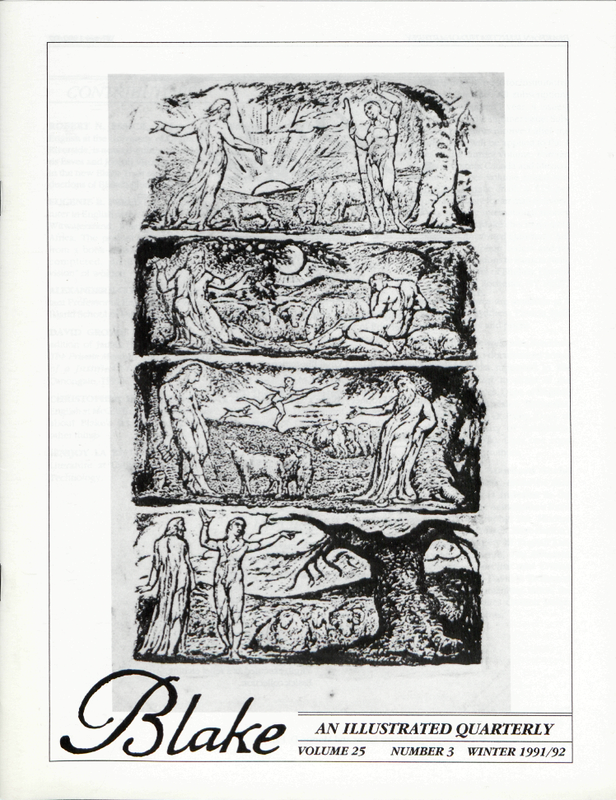 CHRISTOPHER HEPPNER teaches English at McGill University and writes about Blake’s art, and, sometimes, other things. JENIJOY LA BELLE is Professor of Literature at California Institute of Technology.